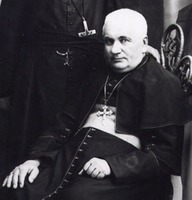 PETITOT, ÉMILE (named at birth Émile-Fortuné; also known as Émile-Fortuné-Stanislas-Joseph), Roman Catholic priest, Oblate of Mary Immaculate, explorer, and scholar; b. 3 Dec. 1838 in Grancey-le-Château, France, son of Jean-Baptiste Petitot, a clockmaker, and Thérèse-Julie-Fortunée Gagneur; d. 13 May 1916 in Mareuil-lès-Meaux, France. Émile Petitot’s family had moved from Marseilles to Grancey-le-Château in 1837, and in 1840 they returned. There Emile attended the minor seminary and the Collège du Sacré-Cœur. At 17 he began keeping diaries that recorded his avid interest in languages, natural sciences, and history. In Marseilles the Petitots lived at various addresses near the old port, and probably attended the church of Saint-Joseph that was consecrated by Bishop Charles-Joseph-Eugène de Mazenod. In 1816 Mazenod had founded the missionaries of Provence, a group which 10 years later was raised to the rank of a congregation with the name Oblates of Mary Immaculate. 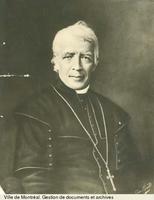 Montreal’s bishop Ignace Bourget* asked for assistance when he visited Mazenod in 1841, and the first Oblates arrived in British North America that year. Two decades later they numbered 30 in the northwest, who worked among the native population, and 53 in the Province of Canada. Perhaps influenced by the popularity of Mazenod and by the challenge of missions, Petitot, who had taken the minor orders of the priesthood by 1859, joined the Oblates in September 1860. After two years of training at Notre-Dame-de-l’Osier, he was ordained in Marseilles on 15 March 1862. Twelve days later he left for Canada and the northwest, a trip recounted in detail in his book En route pour la mer glaciale (Paris, 1888). Brief training in Montreal was quickly followed by the journey west with the Hudson’s Bay Company fur brigade. The young priest reached his posting at the Providence mission (Fort Providence) on Great Slave Lake in August 1862. His missionary life there is described in Autour du Grand lac des Esclaves (1891). Petitot’s early encounters with indigenous people convinced him that liquor and guns threatened the survival of the native population, and that a knowledge of their languages was the missionary’s key to their religious conversion. He started preparing dictionaries of the various Dene dialects – Dogrib, Hare, Chipewyan, and Loucheux – and later of the Tchiglit, or Mackenzie Inuit, language. 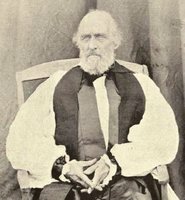 His immediate superior, Bishop Vital-Justin Grandin*, commented in April 1863 that Petitot was very immature, and more interested in exploration than in mission. None the less, in March he had put Petitot in charge of the mission at Fort Resolution; in August 1864 he moved the young man to Fort Good Hope on the Mackenzie River so that he could work under the supervision of Father Jean Séguin. There Petitot criticized his colleagues and also renewed a sexual relationship with a boy servant from Providence. This behaviour led to his temporary, but not curative, excommunication in 1866 by his new superior, Bishop Henri Faraud*. Beginning in 1868 Petitot began to have short bouts of insanity in the winter; he hallucinated, ran half-naked in –40° weather, and attempted to kill Father Séguin. From Fort Good Hope, Petitot made eight trips in the Great Bear Lake region between 1865 and 1879, including two unsuccessful missionary sojourns among the Mackenzie Inuit near the Arctic Ocean. He later described these trips in Les grands Esquimaux (1887), Quinze ans sous le cercle polaire . . . (1889), and Explorations de la région du Grand lac des Ours (1892), which he called the conclusion to Quinze ans. During these and other voyages, despite extreme dangers and physical difficulties, Petitot drew maps of his routes, made sketches of the landscape and aboriginal life, and recorded languages and traditions. In the mission fields he was chagrined by competition from Anglican missionaries, especially William Carpenter Bompas*. Rebuffs and threats from the Dene and Inuit did not discourage him. 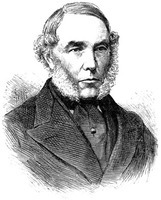 The Dene, he believed, were remnants of the lost tribes of Israel; the Inuit were “the most abandoned men on earth” and “a degraded people.” He noted the natives’ susceptibility to European epidemics, but felt that their dying was his opportunity to direct them to heaven. Between 1864 and 1878 Petitot played a major part in designing the chapel of Our Lady of Good Hope and decorating its interior with paintings and woodwork, especially the altar. The craftsmanship is of such artistic merit that the work was restored professionally and the church designated a national historic site in 1977. In 1874, after 12 years in the north, Petitot was given permission to visit France to oversee the printing of his magnum opus, the Dictionnaire de la langue dènè-dindjié . . . (Paris and San Francisco, 1876), which compared three dialects and included a grammar of the Dene language. He was already known in academic circles since he had published two substantial pamphlets in the 1860s and his long letters to his superior general had been serialized in the Oblate journal, Missions de la Congrégation des missionnaires oblats de Marie Immaculée. His visit turned into a virtual Roman triumph thanks to the attention and honours given him by the press and scholarly associations during 1875. In the French capital he was made a member of the Société d’Anthropologie de Paris and the Société Philologique. He addressed the Société de Géographie de Paris, donated his handmade map of the western Canadian Arctic, and received a silver medal. The French ministry of education awarded him the academic palm-leaf decoration and the title officier d’académie. In July, at an international conference on New World prehistory in Nancy, Petitot earned more notice, and membership in Nancy’s Académie Stanislas, by advancing analogies of language, customs, and beliefs to postulate an Asian rather than autochthonous origin of the Inuit. From then until March 1876, Petitot was occupied with the publication of his Dictionnaire. During his time in France his derangement was not evident to the Oblate authorities there, although he was sometimes wilful and querulous. During most of Petitot’s missionary career he suffered from an abdominal hernia and recurrent severe intestinal disorders. After his return to Fort Good Hope in 1876 he became increasingly critical of and quarrelsome with other missionaries, and in particular Bishop Faraud. Because of Petitot’s poor health he was transferred south in 1879, to less demanding work around Cold Lake (Alta/Sask.). At Fort Pitt (Sask.) late in 1881, he “married” Margarite (Margarita) Valette, also known as Nikamousis (Nicamous), a mature woman. Petitot’s behaviour had now become so unpredictable that early in 1882 the Oblates took him east forcibly and put him in the Asile de Longue-Pointe, an asylum near Montreal. For many months he suffered hallucinations and paranoia. His family in Marseilles repeatedly importuned the father superior of the Oblates to have him returned to France. In May 1883 he was released and sent back to Marseilles where he tried vainly for a year to earn a living as a proofreader. He may have found some consolation when, that year, the Royal Geographical Society of London awarded him its prize named for the Arctic explorer Sir George Back*. Petitot spent the period 1884–86 in Paris at the same occupation of proofreader. 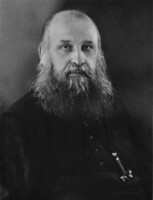 Anxious to be reunited with Nikamousis, and encouraged by Bishop Bompas, in 1884 he unsuccessfully approached various Church of England authorities in Canada and Britain offering his services as an Anglican missionary in the northwest. On 19 April 1886 he was released from the Oblates and on 5 October was appointed parish priest of Mareuil-lès-Meaux. He became interested in the prehistory of this area and wrote articles about its archaeology. In 1883 he had been a founding member of the Société de Géographie de Marseille, and at Mareuil-lès-Meaux he joined the Société Littéraire et Historique de la Brie and took part in the diocesan Conférence d’Archéologie. In that small village Petitot spent his last years writing his five autobiographical volumes and publishing numerous articles about the Canadian northwest, its geography and resources, its peoples and their cultures. In 1909 he participated in a national pilgrimage to Rome by several thousand French people to attend the politically important beatification of Joan of Arc. As an antiquarian, Petitot revelled in the opportunity to tour the ancient monuments and churches, and he later published a lengthy description of this visit. As early as 1898 his niece Isabelle had become his housekeeper and companion despite her poor health. Petitot himself suffered from arterial degeneration in his legs which virtually immobilized him for some time before he died on 13 May 1916. Petitot’s library, later writings, and artefacts from western Canada disappeared, but the next priest of Mareuil-lès-Meaux discovered in the church a manuscript, “Souvenirs de jeunesse,” that recounts his youthful excursions. Petitot’s linguistic and ethnographic studies have been of value to Canadian northern research, but also important for Canadian history were the records of his travels, including his maps which provided basic geographic information until the introduction of aerial photography. Various rivers and islands in the Northwest Territories carry one or the other of his names. In 1975 the Canadian government unveiled a plaque to Émile Petitot in Mareuil-lès-Meaux. [Petitot’s literary works, both manuscript and printed, have been frequently copied and are dispersed among various Canadian libraries and archives. Some original correspondence and family documents are in the Arch. Générales des Oblats de Marie-Immaculée in Rome or with Petitot’s relatives in France. All of these resources are, however, available in originals or copies at the Arch. Deschâtelets, Oblats de Marie-Immaculée, Ottawa. Photocopies of the Petitot materials collected by Donat Savoie for the Dept. of Indian Affairs and Northern Development (see below) were deposited in the Northwest Territories Arch., Yellowknife. A listing by Petitot of 41 of his publications, arranged by subject, appears under the title “Relevé des œuvres de Petitot dressé par l’auteur lui-même à la fin de sa vie,” in Émile Petitot (1838–1916): missionnaire dans l’Arctique canadien, explorateur et anthropologue, curé de Mareuil-lès-Meaux (Meaux, France, 1974), 29–31, an offprint of the Soc. d’Hist. et d’Art du Diocèse de Meaux, Bull., 24 (1973). This offprint also contains three essays on Petitot: Donat Savoie, “Émile Petitot, missionnaire dans l’Arctique canadien” (pp.1–8), J.-B. Molin, “Petitot, ‘explorateur’ et anthropologue en France” (pp.9–17), and L[ambert] M[uller], “L’abbé Émile Petitot, curé de Mareuil-lès-Meaux” (pp.18–28), which confirms the 1916 date of Petitot’s death. The Oblate periodical Missions de la Congrégation des missionnaires oblats de Marie Immaculée (Marseille, etc.) contains extensive letters and reports from Petitot during his active missionary years, accessible through a general index to the journal. The only recent study of Petitot, Simonetta Ballo Alagna, Emile Petitot: un capitolo de storia delle esplorationi canadesi (Genoa, Italy, 1993), deals almost exclusively with his explorations, but includes Italian translations of 13 letters from his correspondence with Bishop Faraud. John S. Moir, “PETITOT, ÉMILE,” in Dictionary of Canadian Biography, vol. 14, University of Toronto/Université Laval, 2003–, accessed April 26, 2019, http://www.biographi.ca/en/bio/petitot_emile_14E.html.